In the top right corner of the document, click on the eye icon to open the view filters popup. Select "Hide" to always hide notes in the current document. You can also choose to only see the first line of notes by choosing the "1st line" option. Click the gear icon on the top right corner of the app to open settings. Under the Preference tab, you can find an option called "Notes" under "Appearance". 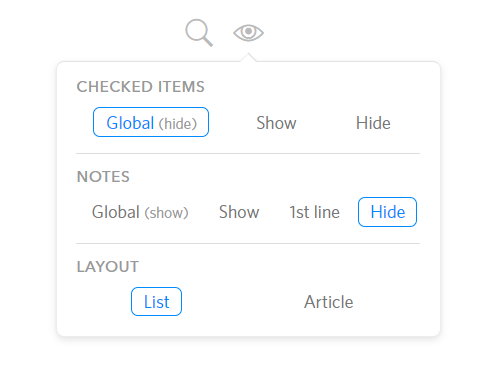 Choose "Hide" from the dropdown menu. You can also choose to only see the first line of notes by choosing the "1st line" option.